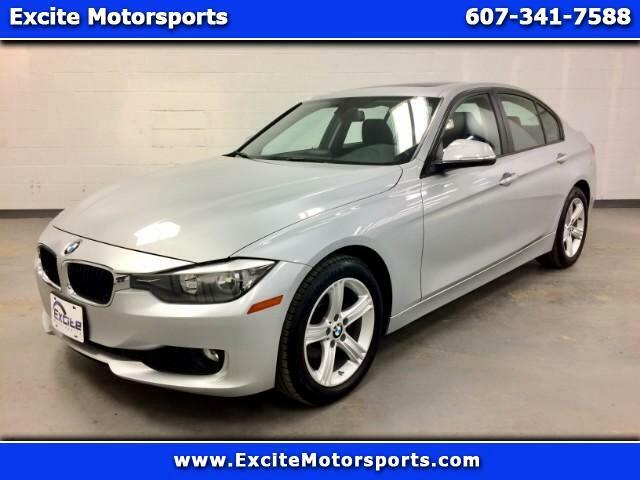 Flawless 2014 BMW 320I with X Drive. This BMW is mint and was well taken care for with only 60,275 miles. The 320I offers the perfect amount of luxury with it's sleek looks and new age technology. The 2.0 Turbocharged engine packs a punch and makes driving fun. At Excite Motorsports we only sell the cleanest used vehicles at the best prices. Give us a call or stop on down to 408 Front St in Vestal NY to take a look at this gorgeous car. Excite Motorsports do something that EXCITES YOU!